Sample Room is on a lovely roll the last couple of weeks bringing us more and more prized winners in the skin care, bath, and body arena. 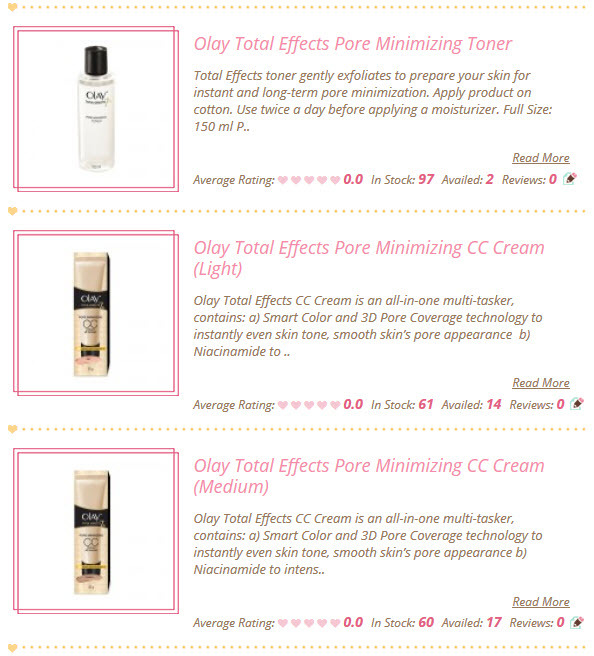 This just in -- have you tired Olay Total Effects? I'd be the first to admit that it's been a while since I used Olay (for the face at least...I love their moisturizing body washes!) and today couldn't be an even better opportunity to reunite with this generation after generation beauty staple. The Olay Total Effects promise is simple and on point: whether you're troubled by fine lines, wrinkles, age spots, rough texture, dry and scaly skin, or uneven skin tone...whatever age signs you see in the mirror, this range has the solution for you. From cleansing, moisturizing, to CC cream, Total Effects offers a complete line of anti-aging products dedicated to helping you look anything but your age. Seven anti-ageing benefits in one daily facial moisturizer. Has 2x MORE POWER to fight 7 signs of skin ageing BETTER and give you that younger looking & health skin FASTER. It has SPF15 to protect you from the sun. Apply on clean skin in the morning(best to use after Olay Total Effects Facial Wash and Toner). Perfect for normal and dry skin types. This all-in-one night treatment fights the 7 signs of skin ageing with a proven vitamin-rich complex to give you younger-looking skin as you sleep. Apply before bed time. Perfect for all skin types. Total Effects toner gently exfoliates to prepare your skin for instant and long-term pore minimization. Apply product on cotton. Use twice a day before applying a moisturizer. 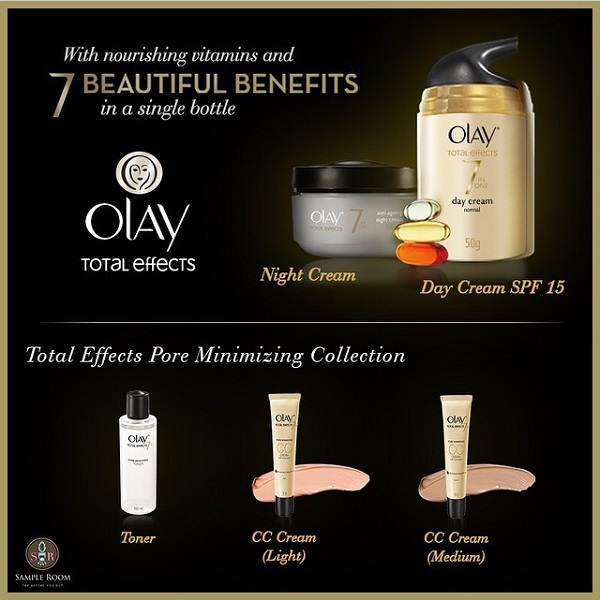 Olay Total Effects CC Cream is an all-in-one multi-tasker, contains: a) Smart Color and 3D Pore Coverage technology to instantly even skin tone, smooth skin’s pore appearance ; b) Niacinamide to intensely hydrate the skin, resulting in long-term improvement of skin appearance. CC Cream is available in 2 shades: Light & Medium.